While the original Cinderella story is thought to have originated in China, versions of the story have been found around the world, and new versions are constantly being created. Part 1 in this series on worldwide Cinderellas shared Cinderella stories from Asia, Europe, and Africa. This post will introduce Cinderella stories from the Americas, and part 3 will cover more humorous fractured versions of Cinderella tales. 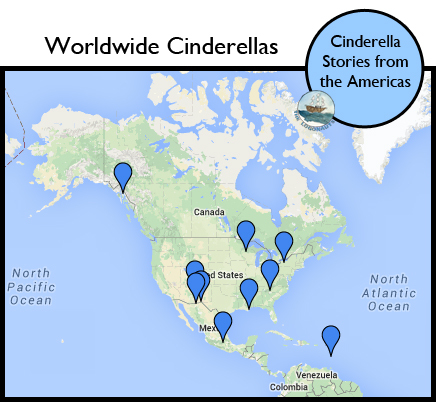 The final post explains how I teach Cinderella stories with my third graders. I'm co-hosting the Kid Lit Blog Hop today and linking up this post. Come check out other great Kid Lit posts here. 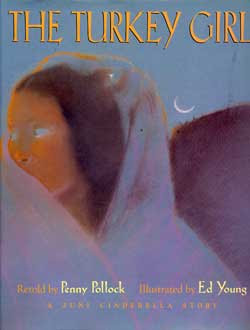 The Turkey Girl: a Zuni Cinderella story retold by Penny Pollock and illustrated by Ed Young. This Native American Cinderella story was collected by anthropologists in the late 1800s who studied the Zuni of New Mexico. Unlike many Cinderella tales, Turkey Girl finds that she must live with the hard consequences of staying out too late dancing. 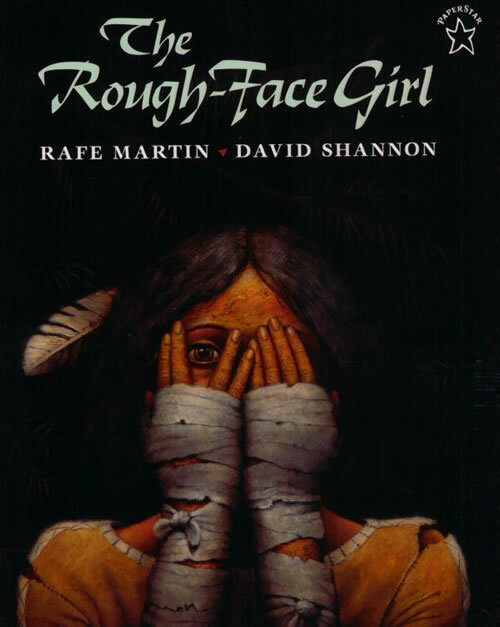 The Rough-Face Girl by Rafe Martin and illustrated by David Shannon. This Algonquin Cinderella story is set on the shore of Lake Ontario and features a fearsome and mysterious Invisible Being. The illustrations are a bit dark for younger readers, but like many Cinderella variants, the heroine is duly rewarded. 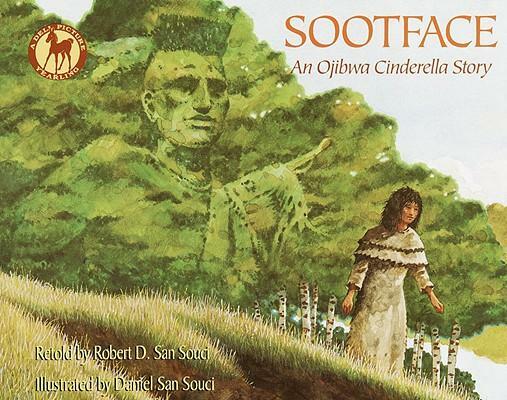 Sootface: an Ojibwa Cinderella retold by Robert D. San Souci and illustrated by Daniel San Souci. Kind, young Sootface is teased and mistreated by her two older sisters, but her virtue shows through when faced with the challenges set by the invisible warrior. This story was based upon more than two dozen versions collected from tribes from diverse regions including the Northeast, Great Lakes, and Southwest. 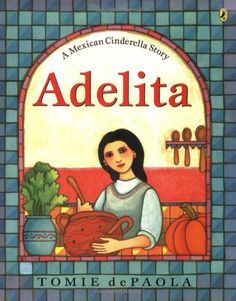 Adelita: a Mexican Cinderella Story by Tomie de Paola. This modern Cinderella story created by Tomie de Paola moves the story to Mexico and uses a colorful folk-art style interspersed Spanish phrases to tell the story. Rather than a fairy godmother, Adelita is aided by her family's nursemaid and nanny. 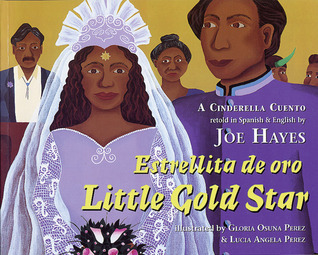 Estrellita de oro / Little Gold Star: a Cinderella cuento retold by Joe Hayes and illustrated by Gloria Osuna Perez and Lucia Angela Perez. 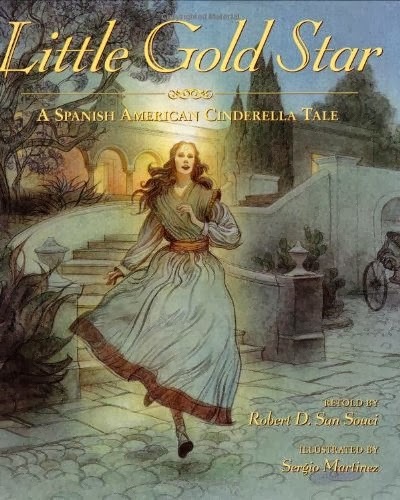 This bilingual Cinderella story is based upon several versions of the story common in New Mexico. Arcía is rewarded for her faithfulness by a gold star on the forehead, but you will have to read this story to find out which "gifts" her two step-sisters receive. 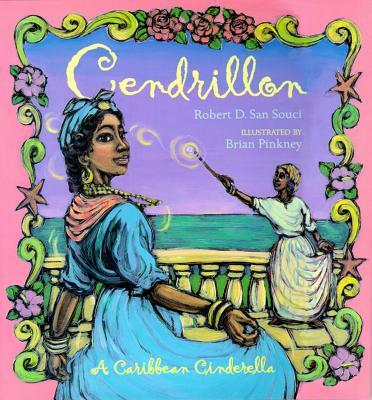 Cendrillon: a Caribbean Cinderella by Robert D. San Souci and illustrated by Brian Pickney. Another Cendrillon, this one is set in the Caribbean and told through the voice of the godmother, who liberally sprinkles the text with French-Creole words and phrases (glossary provided at the end). This story is loosely based around a nineteenth-century French Creole tale and expanded with historically-appropriate details about life in Martinique. 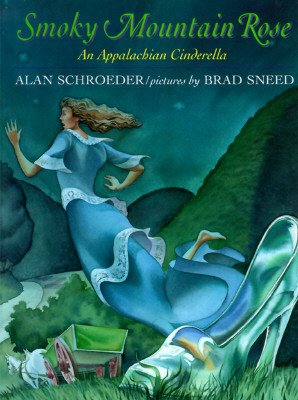 Smoky Mountain Rose: an Appalachian Cinderella by Alan Schroeder and illustrated by Brad Sneed. This retelling of a Cinderella tale is set in the Smoky Mountains and written in an Appalachian dialect-style and borrows from both Charles Perrault's classic Cinderella and older American versions of the tale. For more advanced readers, due to the dialect-style spellings and abbreviations. 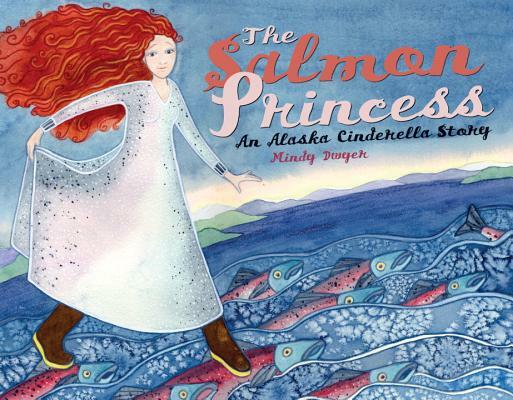 The Salmon Princess: an Alaskan Cinderella Story by Mindy Dwyer. 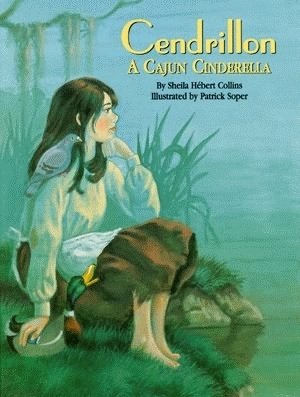 This original Cinderella story is set in an Alaskan fish camp and recasts the story with Alaskan characters and details. 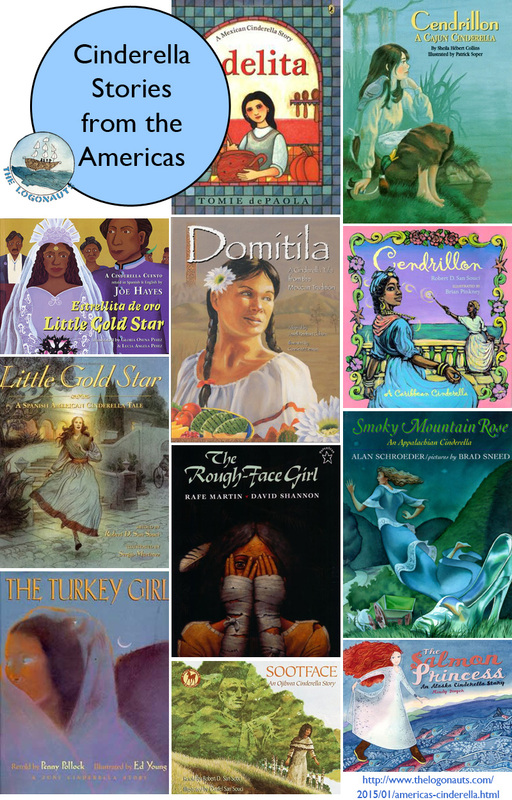 Have a favorite Cinderella story from the Americas that I missed? Please share below in the comments. You can also check out Part 1 in this series on worldwide Cinderellas shared Cinderella stories from Asia, Europe, and Africa and Part 3 will be fractured fairy tale versions. Or, read up on how I teach Cinderella stories to my students. It's interesting to see how different countries and cultures reimagine the same basic storyline. Thanks for sharing these. Thanks, Alex! Yeah, I love seeing how what different cultures value comes through in comparing these stories. Wow, I know The Rough-faced girl, but none of the others. Thans, Katie! You're welcome, Linda! They are such wonderful books and some really interesting differences. Love these posts! I'm working on collecting various countries different interpretations of fairy tales. Fun fact, aside from the live action Disney remake, there's a ballet and a play of Cinderella coming to Portland this year. Cool! I've taken my students to see Mufaro's Beautiful Daughters as live theater before - if you ever get the chance, go; it's an amazing show. Great post! It's amazing what a basic and iconic storyline that one is. Thanks for co-hosting the KLBH this month! Thanks, Rebecca! Really looking forward to checking out all the amazing posts getting shared today. Thank you so much. We can't wait to share this post and your Pinterest board with teachers. Thanks so much! I really appreciate it, and I hope they do too. I'm hoping to put together a 'how to' post with some examples of my worksheets soon too. This is great! I love that the basic premise of something as simple as a fairy tale can be traced around the world. Thanks for co-hosting and sharing on the Kid Lit Blog Hop! Thanks, me too! The kids get hooked on checking out differences and really pay careful attention. Rough-Faced Girl is a really fascinating one - a different story but yet the same. Yeah, I have a post that will include more of the "goofy" for the fun of it Cinderellas for next week, but its the ones with real cultural links that I really appreciate. Thanks for hopping over, Jenny! It's really fun once you started seeing a few of these together. Great tales. Thanks so much, Renee! There are just so many of these stories, that it made sense to me to break them up geographically. My students love finding and comparing differences! Thanks so much! My third grade boys often groan when I introduce this unit, but they are proven wrong and start seeking these out during independent reading time. It is amazing to me that the Cinderella story is so prevalent. There seems to be a version in almost every country. Thanks so much for sharing your great list at the Kid Lit Blog Hop! Thanks, Mia! I agree that it is fascinating. I always wonder what it is about this story that makes it appear so universally across cultures.